“Chicken Little was not the brightest chicken in the coop. He was very excitable and prone to foolishness. Want to know the recipe for taking a remarkably old, classic, beloved fable and making it fresh and sassy and exciting — and seem as if it’s all-new? Well, wait a sec. 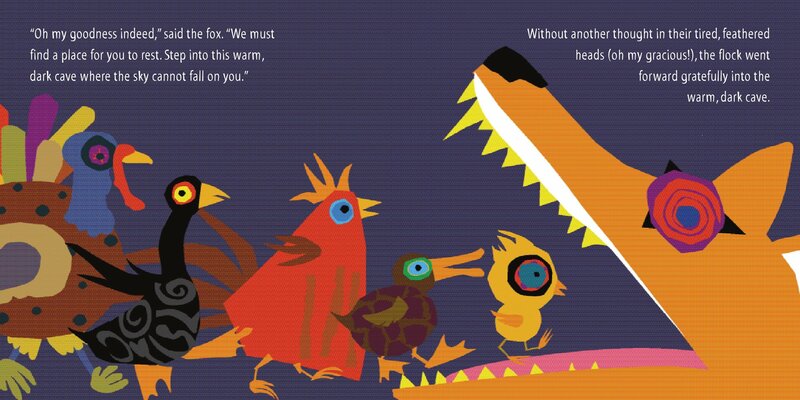 If I knew that, I’d be writing picture books. But one way to do it is the following: You get the very prolific Caldecott medalist Ed Emberley and his daughter, who herself has created more than thirty books for children, and you convince them to create a book together. Here are a couple more spreads from it. Click to enlarge each. And enjoy. BONUS: Check out this short interview with the Emberleys over at School Library Journal (from early May). CHICKEN LITTLE. 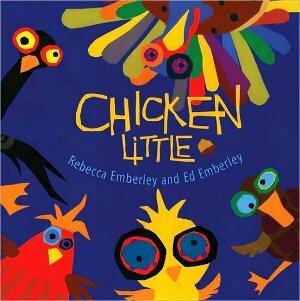 Copyright © 2009 by Rebecca Emberley and Ed Emberley. Reproduced by permission of the publisher, Roaring Brook Press, New York, NY. 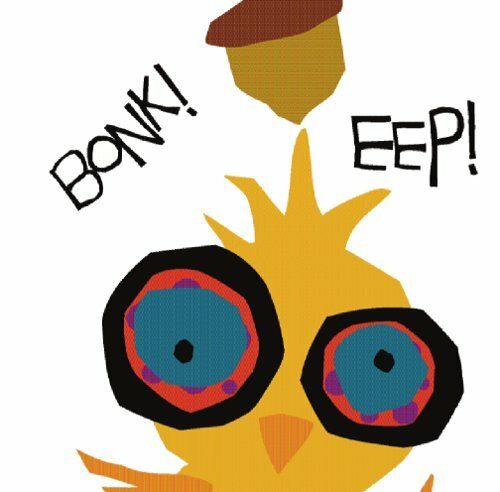 I knew it, I just knew it, I wasn’t going crazy: “Bonk” also feature prominently in Jeremy Tankard’s Boo Hoo Bird (reviewed here a couple Kicksdays ago). 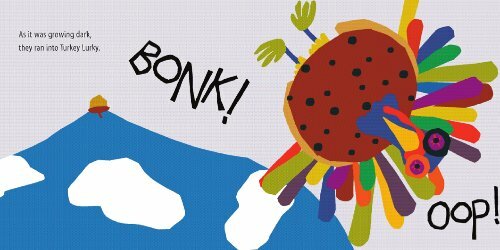 It would not be stretching a point to say that, hmm, Bonk is in the air. 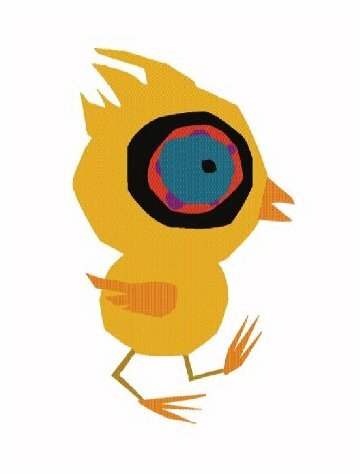 Love the illustrations here, especially the one of Turkey Lurky: if you drained it of color, the bird’s depiction might look static, simply rotated on its access by, like, 120 degrees or so. But those *tail feathers*, jeez — the thing just explodes off the page. And who doesn’t love a protagonist with a severe case of the Excitable Befuddles? Now this looks like my kind of book! I’d not seen it, so many thanks for highlighting it here. Off to the library to find it! Yeah, Susan, I think you need it. John, thank you for “Excitable Befuddles.” Yeah, Tankard used “bonk,” too, but he used it as a noun, as in “Boo Hoo Bird’s got a bonk.” Which we *actually* say in our home, too. Pre-Boo-Hoo-Bird even. Exploding off the page — good way to put it. At the end, they almost literally do. Almost. Hope I’m making sense. I’m still in my Before Coffee state. Wow! This looks great. Ed Emberley’s the boss!